... is scheduled as the guest speaker for the 194th meeting of the Karl Hess Club, to convene on August 16, 2010. 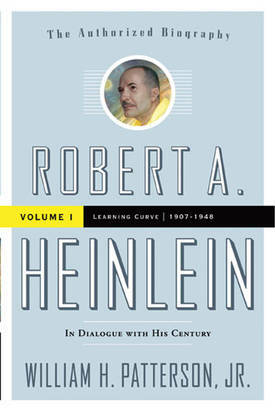 William H. Patterson Patterson Jr. on "The Robert A. Heinlein Biography." Patterson authored the soon to be released Robert A. Heinlein in Dialogue with His Century, a biography about the late science fiction writer, his influence on libertarian thinking in the 1960s and 1970s, and his struggle with the 20th century. Patterson says "My preliminary thinking uncovered several long philosophical arcs, consistent over many decades of Heinlein's life. My job was to show how these all belonged to a single human being. I had not yet seen the archive in Santa Cruz, and had no idea of how abundant the factual material would turn out -- 300,000 pages or so of letters and files. "This book has been a ten-year voyage of discovery. My editor at Tor, David Hartwell, says we'll start editing the second volume submission after Labor Day. "The most important function of Heinlein's writing was to show us the meaning of the conflicts and struggles we were all engaged in, that could too easily be swept away. "In the 21st century, the Enlightenment Era values that were core to the American Experience are being swept up and placed in the dustbin of history. The value of Heinlein's persistence into our future is that he says for us, 'No. These things are important.' As libertarians that's our job, and so Heinlein will continue to have relevance to libertarians, even when his story materials seem distant from specific libertarian concerns. Bill Patterson won the Cabell Prize in 2000 from the Commonwealth University of Virginia. His consulting work with the Heinlein Archive at UC Santa Cruz led to the Heinlein Prize Trust designating him as the Heinlein Scholar. He belongs to the American Comparative Literature Association, the Emerson Society, and the Popular Culture Association, having written dozens of papers on Heinlein and SF theory. He is the editor/publisher of The Heinlein Journal. His works include The Martian Named Smith, a monograph on Heinlein's Stranger in a Strange Land, co-written with Andrew Thornton. He was a director of IguanaCon II, the Phoenix, Arizona, worldcon in 1978. Patterson has spoken several times before at the KHC. He has a website: whpattersonjr.com.